Sutphin Boulevard is the commercial center of Jamaica and features a major courthouse. Once a solid middle class neighborhood, Jamaica experienced decline over the years and is now the focus of City and State efforts at revitalization. 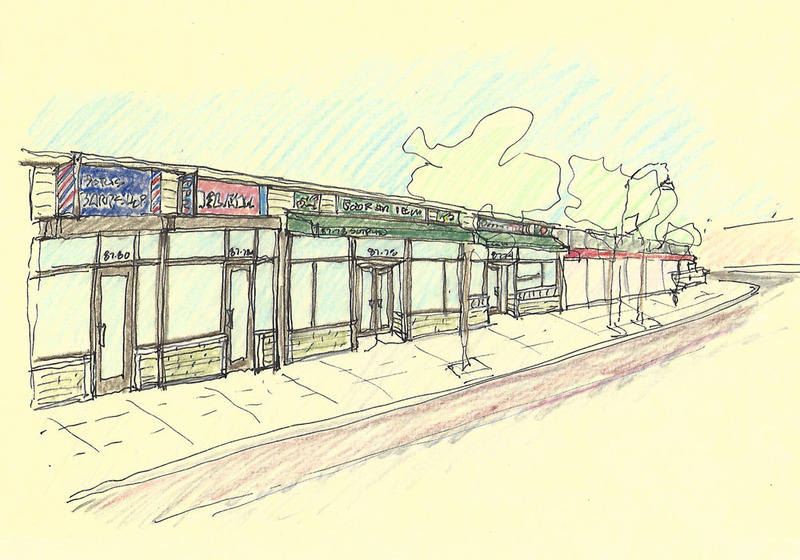 To date, the office has completed the design and bid documents for six contiguous storefronts within three buildings. 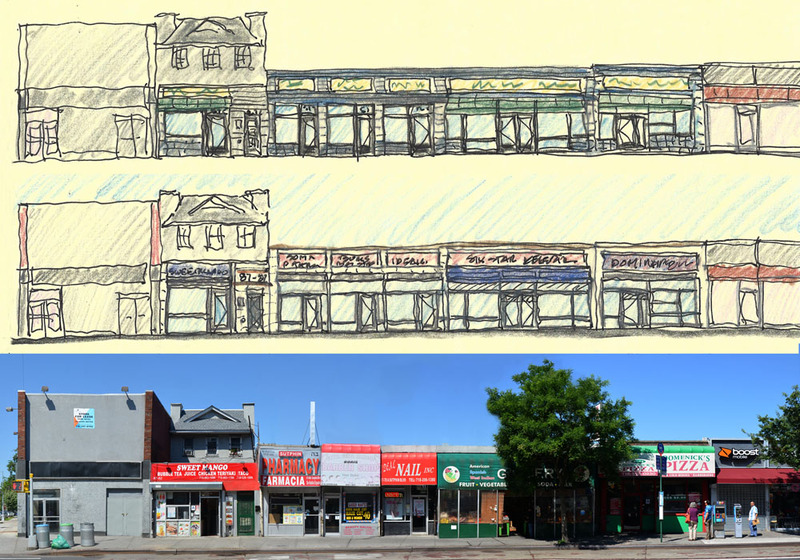 Working with NYC Small Business Services, the Sutphin Boulevard BID (Business Improvement District) and the building owners for the streetscape restoration, Heim Architect is establishing design standards that encourage a charming shopping experience through clear signage, lighting and display. 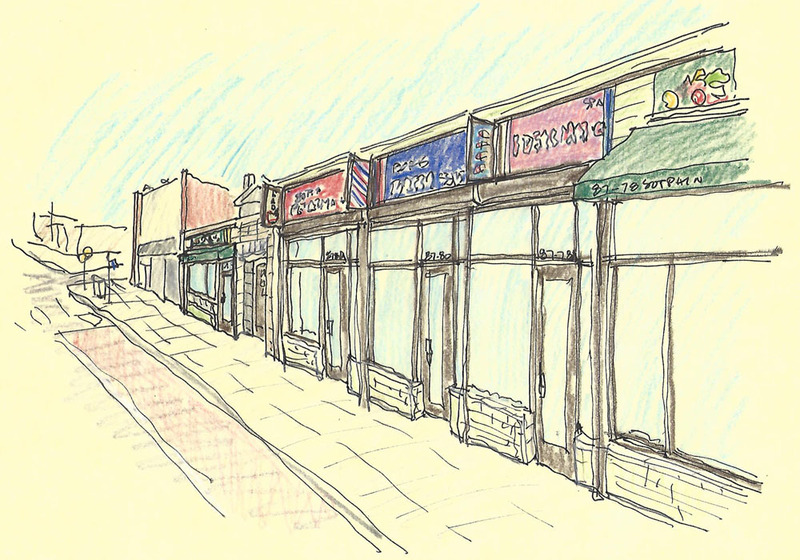 The analysis of Sutphin Boulevard showed that the best approach was to create storefronts relating to the adjacency as well as an overall unified approach. After meeting with the owner and shopkeepers, a design reflecting the continuity of the streescape yet need for variety to create interest evolved.